Pardon? Did You Say Something About Industrial Noise And Hearing Loss? Yes, we did. We said that noise, as a by-product of industrial processes, is one of the most pervasive occupational health concerns, contributing to approximately 16% of the disabling hearing loss in adults on a worldwide scale. Ten million people in the U.S. alone have a noise-related hearing loss and twenty-two million workers are exposed to potentially damaging noise each year. In 2007 the National Institute of Occupational Safety and Health (NIOSH) estimated that approximately 23,000 cases of occupational hearing loss were reported as causing hearing impairment and that this alone accounted for 14% of occupational illness that year. Of those listed, the most serious health effect is NIHL, which results from irreversible damage to the delicate hearing mechanisms of the inner ear. The inner ear contains microscopic hearing nerve endings (or hair cells) that are immersed in fluid. Noise creates waves in the fluid that move the delicate nerve endings, and in turn the noise energy is transmitted to the brain via those hair cells where it is interpreted as sound. A disturbance in the inner ear fluids or nerve endings may result in a sensori-neural hearing impairment. 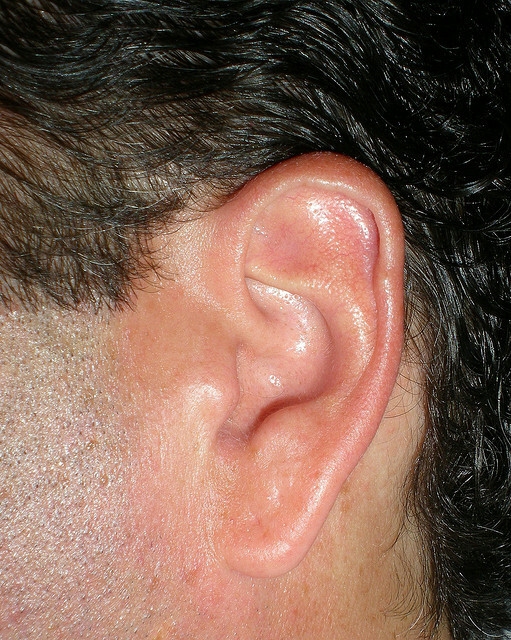 Most often, this type of hearing impairment is due to a hair cell loss/damage. This type of impairment is not correctable with surgery. NIHL typically involves the frequency range (pitch) of human voices, and thus interferes with spoken communications which in turn can lead to social isolation and stigmatization of individuals who are affected by this type of hearing loss. So how loud is too loud? NIOSH recommends that workers should not be exposed to noise at a level that amounts to more than 85 decibels per 8-hour work period. To get a sense of what 85 decibels of noise sounds like, consider these decibel comparisons: whispering in the library is rated at 30; moderate rainfall at 50; blow-dryer, kitchen blender, or food processor at 80 – 90; maximum volume on MP3 player at 110; and a jet engine at 140. Words of caution: Wear hearing protection and don’t listen to loud sounds for extended periods of time; ensure safe practices are implemented in your place of work; and don’t be fooled by thinking your ears are tough enough to just tune it out. NIHL is usually gradual and painless but, as we’ve learned, it can be permanent. If you think you’ve simply gotten used to the noise you routinely encounter, you likely just can’t hear it anymore. Once destroyed, the hearing nerve and its hair cells do not repair!